The elements have not been kind to this parking sign. 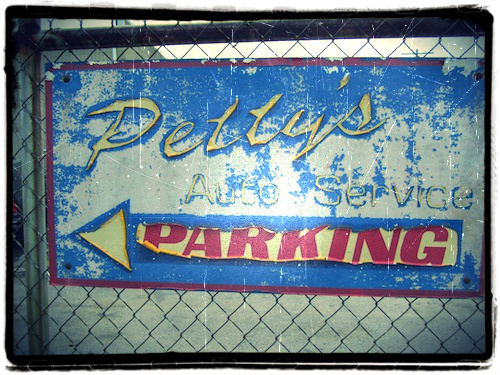 But that's exactly the kind of deterioration that I love to see when I spot some great found type. Don't forget to leave a comment with a link if you want to share your own Found Type Tuesday image. Don't you just love the color--and I really like the fading and peeling, too. Another good one!